Curiouser and curiouser! 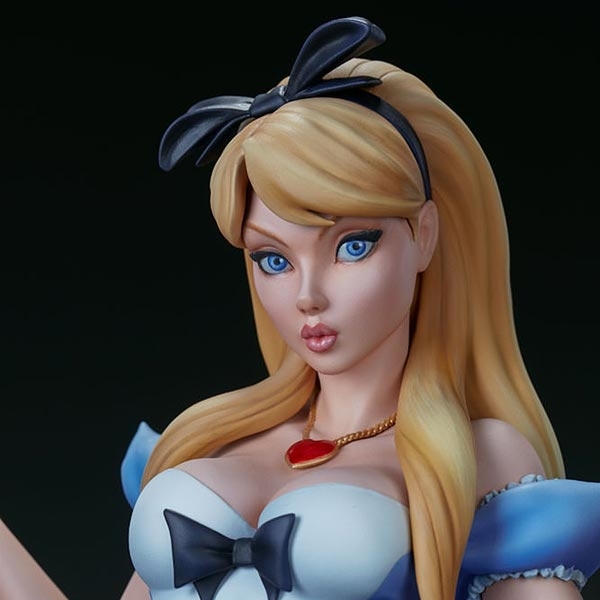 Sideshow and fan-favorite artist J. Scott Campbell have gone down the rabbit hole to bring you the next fanciful addition to J. Scott Campbell’s Fairytale Fantasies Collection, the Alice in Wonderland Statue. Working closely with Campbell, Sideshow has translated his iconic artwork into a stunning three-dimensional celebration of his reimagined classic fairytale characters like the Little Mermaid, Tinkerbell, and Alice in Wonderland. 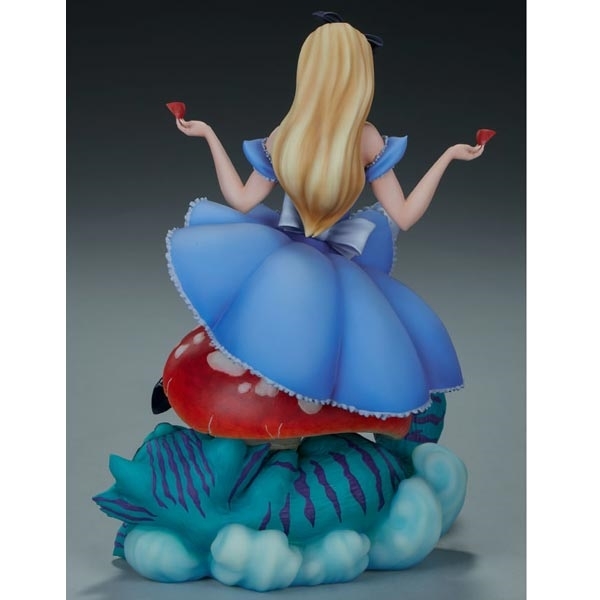 The polyresin Alice in Wonderland Statue measures 13.5” tall, as Alice sits atop a red dappled mushroom holding two segments of the size-changing toadstool in either hand. The blue and purple Cheshire Cat gives its famous toothy grin from the base of the figure. Alice’s portrait captures both a sense of beauty and surprise, carefully sculpted in on J. Scott Campbell’s widely-adored artistic style, and her sculpted blue and white frock and thigh-high stockings give her an updated pin-up flair.